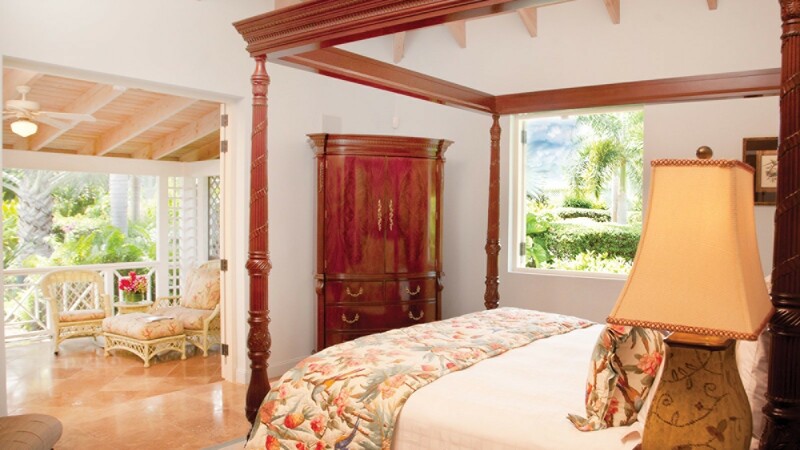 If you have been yearning to holiday in a truly iconic, Caribbean gingerbread cottage tucked into its own private gardens, the Four Seasons - Villa Bismarckia is one to consider. 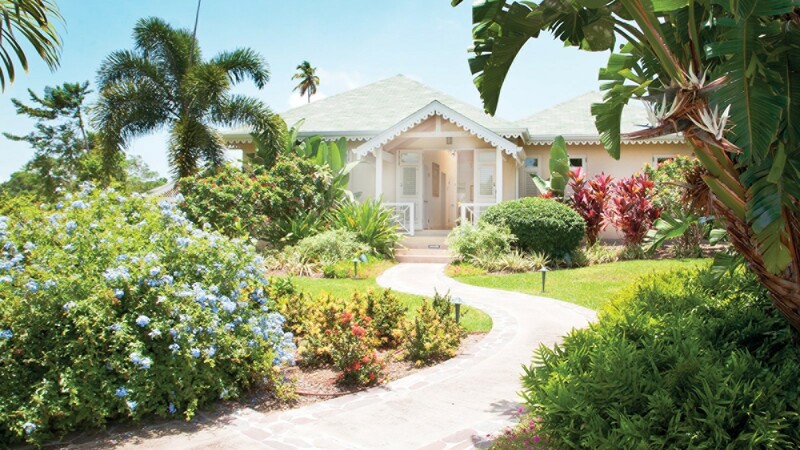 This three-bedroom gem is a delight as it sites in its half-acre of mature tropical gardens and offers up a wonderful array of private and picturesque living spaces. 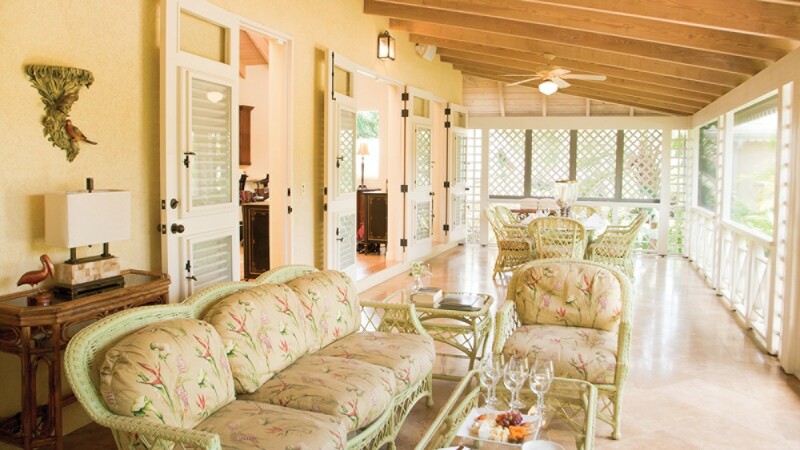 Steps from some of the resort's best amenities, it is a perfectly located spot to relax or savor the resort's many amenities. 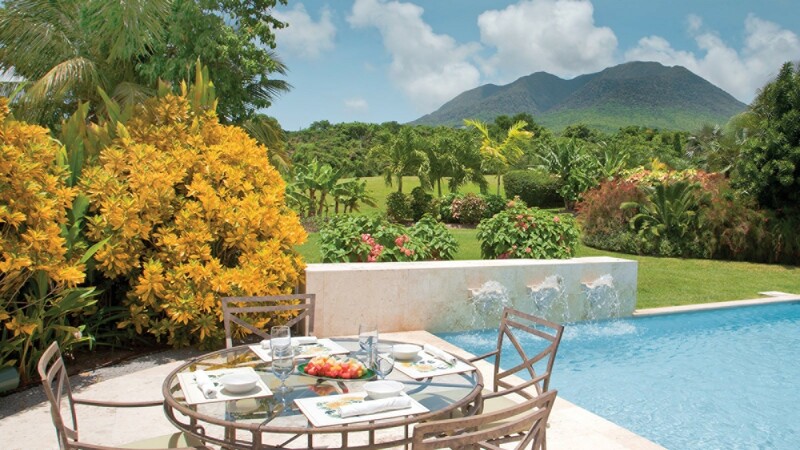 Of course, many visitors fall in love with the privacy and beauty of their villa's grounds and opt to spend many hours by the delightful pool with its fountains, gardens, sun deck and al fresco dining. 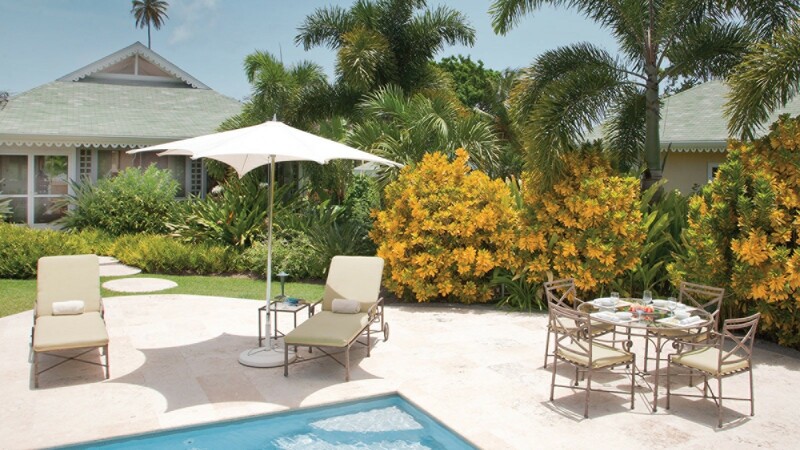 Just steps from the verandah, it also opens directly into the lush landscaping. 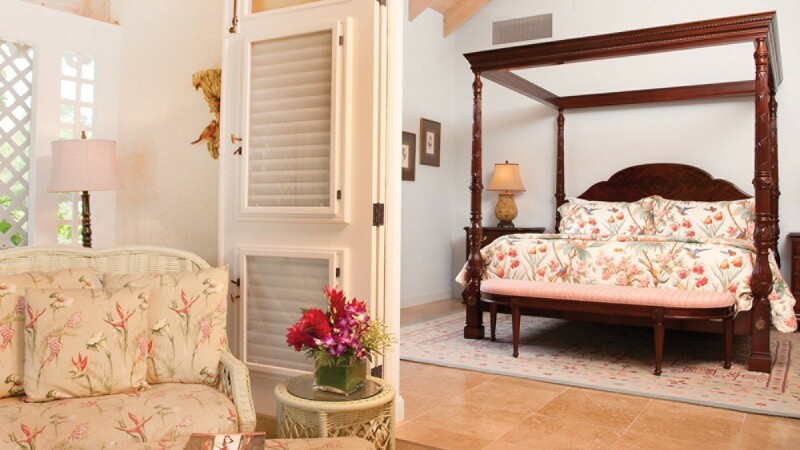 The villa itself features a charmingly furnished verandah done in a pale palette that captures the gorgeous light. 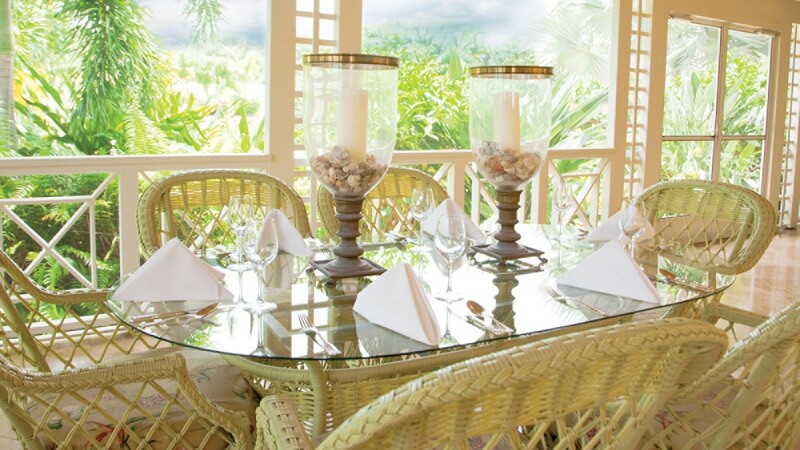 Outdoor dining and cozy wicker lounges take you inside to the more formal, but still welcoming great room. 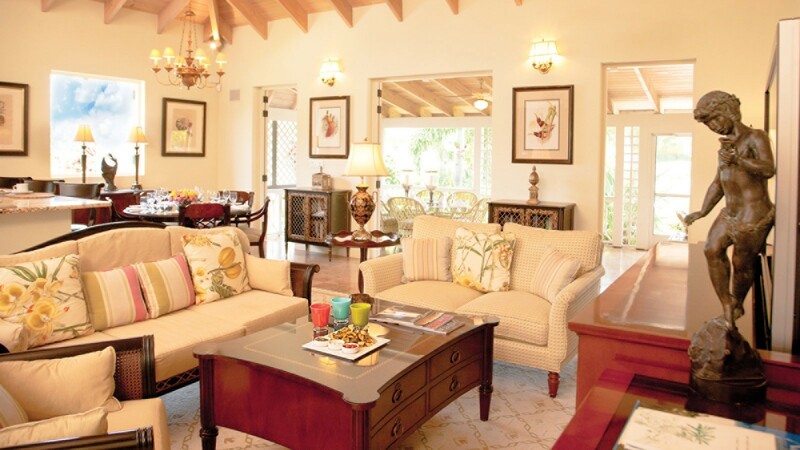 High ceilings and a pale palette accented with mahogany furnishings make this the perfect space for gathering. 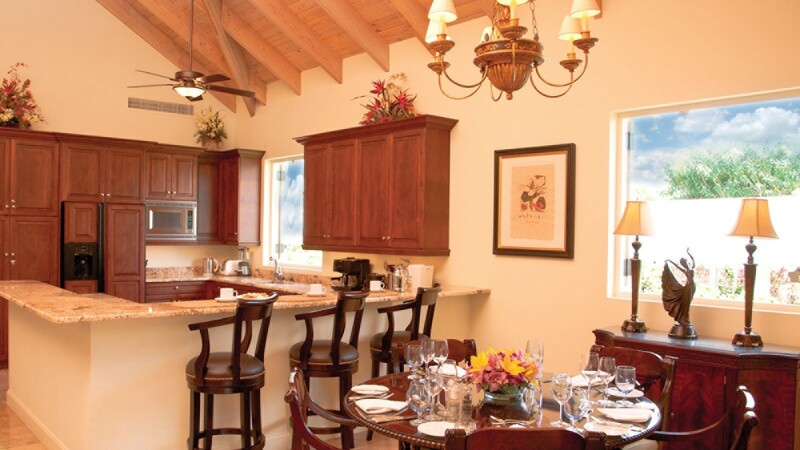 The living room, dining room and full-sized kitchen are here. 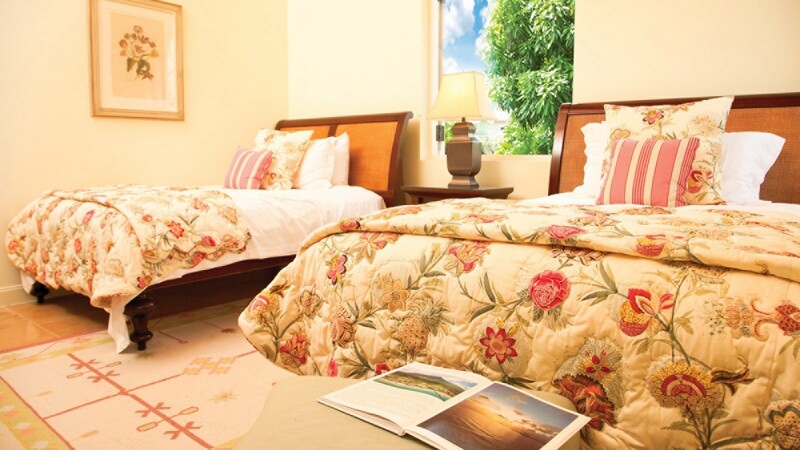 The three bedrooms are each private and spacious. 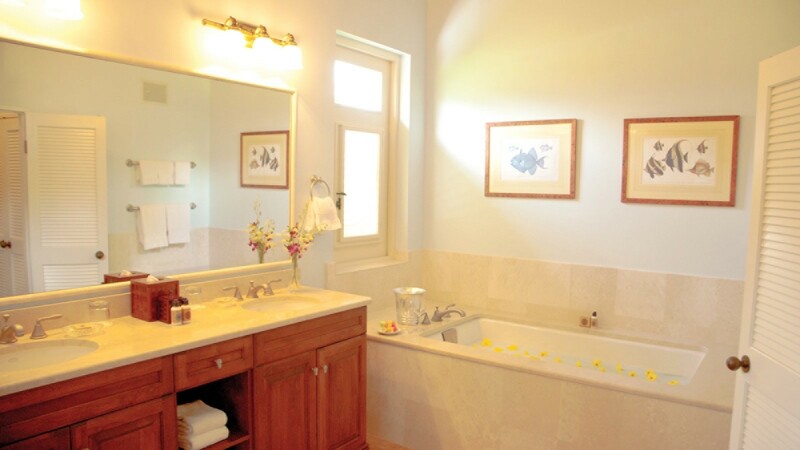 Two feature king beds and large private baths, while the third offers two double beds and an ensuite bath. Ideal as a family retreat or for a group of friends, the Four Seasons - Villa Bismarckia is not to be missed. Bedroom 1: Master bedroom with a four poster king-size bed, AC, ceiling fan, flat screen TV, DVD, iPod Dock and en-suite bathroom with bathtub, shower, vanity and WC. 2 guests maximum. Bedroom 2: Bedroom with a four poster king-size bed, AC, ceiling fan, flat screen TV, DVD, iPod dock and en-suite bathroom with bathtub, vanity and WC. 2 guests maximum. Bedroom 3: Bedroom with two double beds, AC, ceiling fan, flat screen TV, DVD, iPod dock and separate en-suite bathroom with shower, vanity and WC. 2 guests maximum.